Installation Instructions -Just put the .REC file into your gamedata/base/recordings directory (make the directory first if it doesn't already exist). Then to play the recording, click on the "launch" button in the game GUI, and select "recordings". I always felt that one good way to pick up some new strategies is to watch other people at work, who do their thing well. 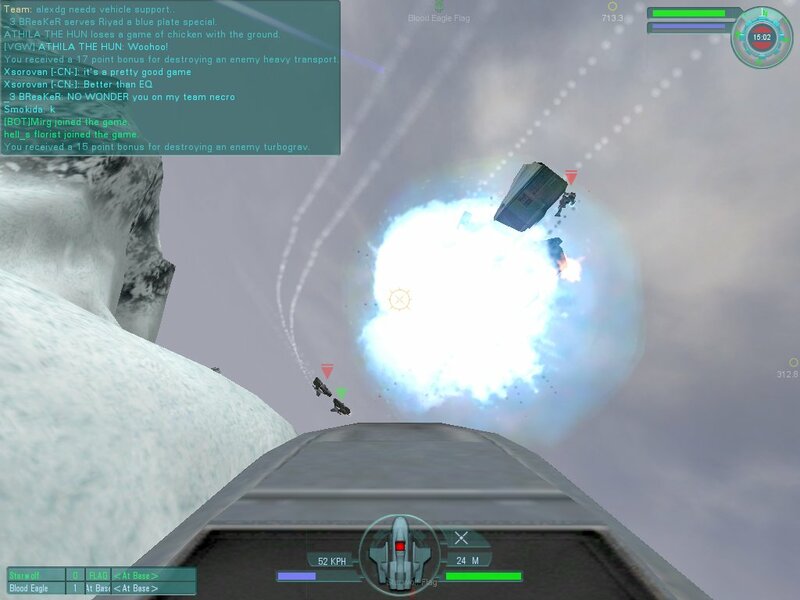 I remember back in the days of Tribes 1, I learned a few "flying fatty" maneuvers by watching recordings of some of the competitions that had taken place. Generally speaking, ladder competitions don't always teach you to be a good player. Some of the ladder players are creative and skilled. Others are nothing without their memorized ski-routes. So it's good to watch some recording on the pub servers as well, and this can fit the bill if you're interested in shriking. Anyway, this recording is named "Shrike 101" because it can demonstrate some of the fundamentals of shrike tactics. At the time it was my personal high score (for a 30 minute match), and Thin Ice is a great map for shrike flying in general. The map isn't ruled by shrikes, but shrikes have a lot of opportunity to be effective. Normally I don't consider Air Support 2 to be one of my best dogfighting maps. I'm not sure why, but I was never able to rack up lots of points on this mission. On Houston Vehicles, there's enough people in the air that it actually makes for a good mission as such now. In this recording, it was actually a 45 minute match but I didn't start recording until 10 minutes into the mission while I was on the ground repairing from one of my better fights (I was nearly destroyed, but spun around and took out 2 attacking shrikes, so it's a shame it wasn't recorded). 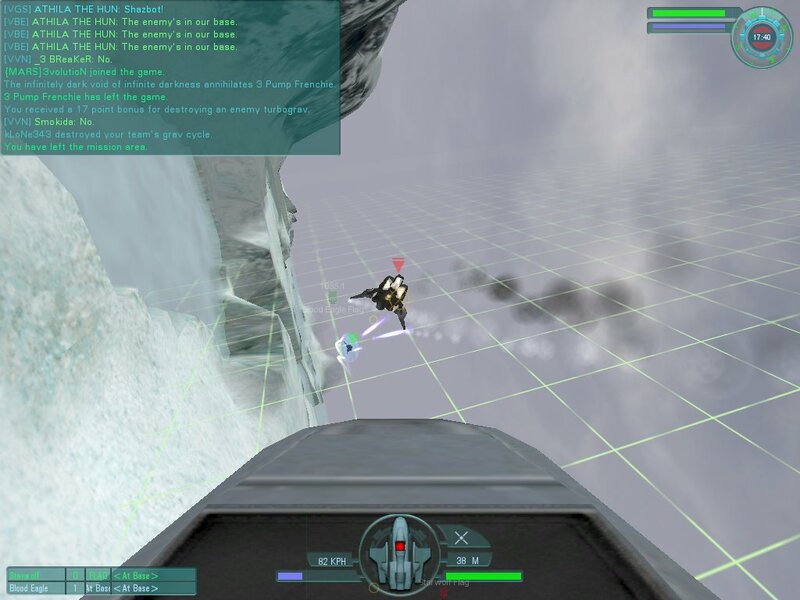 During the course of this mission you'll see some great maneuvers, and an unlikely ramming or two, accidentally suicide-killing an incoming bomber, completing a flag-cap, plus shooting down a shrike and then shooting down the pilot before he hits the ground. Also, there are some good dogfights against Detective, one of which he won. Ignore the discussion about maps that appears, since one of the admins was sending messages right to my hud. Also, at the end of the mission you'll see me get really pissed at Expre for knocking me off the base. I was already annoyed at him since he took pot-shots at me throughout the mission (distracting and counterproductive), and then tried to laugh off what he did to me. After promising not to do it again, he shocklanced my shrike with only seconds left in the mission. In one case of him taking shots, I thought I actually had a bogey on my tail, and he ended up nearly ramming me due to my maneuvering. This is a good example of what not to do as a fellow shrike pilot and teammate, and something that will keep you from being considered for membership in TAE (Tactical Airborne Elite). I have no real qualms about shooting down repeat-offenders on my own team (or initiating kick-votes), since in cases like that, the person may actually be counter-productive to the team. There are better ways to get someone's attention.